No. When I was a teenager I wanted to be a vet, and later a scientist. I often ask students at events if anyone wants to be a writer one day, and rarely do more than one or two hands go up for every hundred or so. But I expect there will be other writers among them – they just don’t know it yet! Stories can do so many things – explore ideas, themes, situations and points of view. They can thrill, scare, enthral, challenge, entertain, educate, amuse etc. etc. For young readers, especially, I believe good books can also help develop empathy too, such an important life skill. Perhaps what captivates me most though is the idea that an entire story world, narrative and characters – all created entirely in my brain – are recreated in the reader’s mind. It’s all about effective communication. I just love the idea that someone out there, maybe someone on the other side of the world, gets taken on that journey that began and unfolded inside my head. In a small office at home, surrounded by books, photographs, and other research materials. I write straight onto my PC although I often print stuff out to review and edit. I also carry a notebook everywhere to jot down ideas as they hit me. Each novel takes about 9 months to write. I visit many of the locations for my books to make sure I get everything right. I also try to read everything I can lay my hands on about that period in history and view any film material I can gain access to. As well as all that, I also rummage around in archives and talk to anyone who might be able to give me an insight. For Resistance and my Special Ops series I also spent many months researching the lives and motivations of real agents and members of the resistance to gain an insight into who they were, why they were willing to risk everything, and how they went about their clandestine work. My characters are drawn from what I learned – hopefully they feel real to the reader. I also wanted to differentiate my books from other series (e.g. Young Bond, Alex Rider etc) by making the action totally realistic – to this end I generally only allow my characters to perform feats for which I’ve got evidence that such feats were done for real. As is so often the case, truth can be stranger than fiction. Are your books just for kids? No. Although the short format EDGE titles are aimed at young(ish) readers (about 8-13) my full-length novels are suitable for a wide range of ages, including grown-up readers. 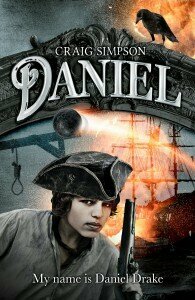 Interestingly, I am occasionally asked whether the wartime themes in my books are suitable for younger readers. Although I try to avoid gratuitous violence, my books do not shy away from the kinds of things that really happened. The answer is, YES, they are suitable, and for an important reason, too. It is often forgotten that a whole generation of children grew up with the world at war, and for them the situation, the dangers and the horrors, were all too real. I have come across many stories of children and teenagers taking part in the wartime resistance, many proving to be extremely brave. They’ve even inspired characters in my books. Are your books aimed at boys? One glance at the cover designs and you’d be forgiven for thinking so. 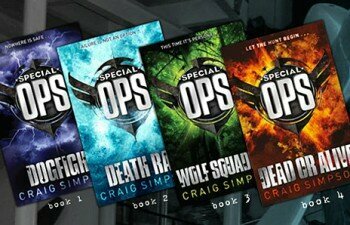 In fact, Resistance and my Special Operations Series are aimed at ALL readers. I would certainly encourage girls to see beyond the covers and give them a go. I’ve had terrific feedback from those who do. Women played a vital role in the wartime resistance, and many were agents in the real Special Operations, hence my character Freya. She was drawn from several famous female heroines. Of course, many girls like reading adventures too! I am a huge fan of the late Robert Westall (The Machine Gunners is brilliantly gritty), John Steinbeck, of one or two of Michael Morpurgo’s books (Private Peaceful and Warhorse), Suzanne Collins (Hunger Games, first of the trilogy is brilliant and by far the best), and Philip Pullman. I also love thrillers by Alistair Maclean, Frederick Forsyth & Robert Harris, and the zany humour of Douglas Adams. Then there are other individual books that I love, e.g. Harper Lee’s, To kill a mocking-bird, and Jennifer Donnelly’s A Gathering Light, to name but two.